And you think we are exagerating about the Left and concentration camps? We know that Gun Control advocates like Ladd Everitt and CSGV loves some mass incarcerations and support the Japanese relocation camps. But we see now that the compassionate Left around the world also like the idea but they just kept it under wraps waiting for the right moment to express their support. When I was a young lad, The Gulag Archipelago and A Day In The Life of Ivan Denisovich were the books about Gulags and prisons that cracked open the reality of the Soviet treatment of its citizens. It finally removed the idea of Stalin being a kind uncle, a cuddly bear who cared for its people like they were his own children and displayed the viciousness of the Soviet Regime. The books made it out to the West and had the very reluctant blessing of the Politburo which wanted to appear not the demons the Republicans painted them to be but more like the willing but misunderstood partners that the democrats kept pushing. And even after the horrors were exposed, the soviets did not terminate the programs but kept feeding enemies of the Soviet Union. In fact, some of the camps never even closed after the fall of the USSR and are now housing the criminal element of the new Russia…or so they say. And although this exchange happened in England, do not make the mistake that there are not people who have the same feeling about those who dare oppose them and have no problem sending us to a local Gulag for the proper re-education into proper serfdom. The ignorance of the creep in regards to the history of western prisons is laughable, too. We call them “penitentiaries” because the inmates are expected to learn to regret — be penitent for — their actions. The goal is rehabilatation. Second, the “self-supporting” part. The left screams in horror over prisons run in a way that supports itself, spinning sprawling conspiracies about the “prison-industrial complex”. But that was apparently a good thing when your crimes could have been wanting to disagree with the local commissar, or wanting to work for your own benefit rather than conform to a blind Five Year Plan. And… Communist countries aren’t known for their tolerance. Showing up to work in a dress will likely get you sent to the gulag (or laogai), as a “disruption”. He is not ignorant, just lying. It is what Leftists do. 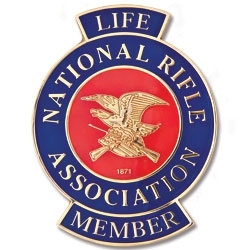 Rarely do they believe their own slogans or agitprop. We want to believe that our opponents are just misguided. We want to believe that they merely misunderstand, and that we can bring them around if we just explain things properly to them, if we just speak the truth. Their minds are made up. They regard us as subhuman. They want to kill us all and destroy civilization. You will not turn them from this course by reciting dry lists of the numbers of Communism’s victims. They don’t care, so long as they get to sit on thrones afterward–no matter if the thrones be atop mountains of human skulls. The longest sentence was 10 years, or a “Ten Ruble Note” as the Zeks referred to it, because almost no one survived 10 years in the Gulag. Also, I don’t think the Stalin or the NKVD/KGB got the memo that capital punishment was only for the most heinous of crimes. Read Solzhenitsyn! 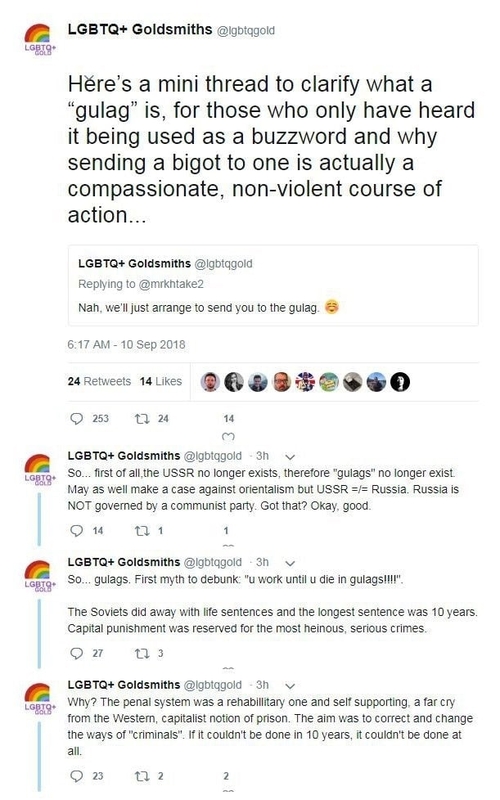 By the way neither the current government, nor the Soviet government are or were particularly LGBTQ+ friendly. 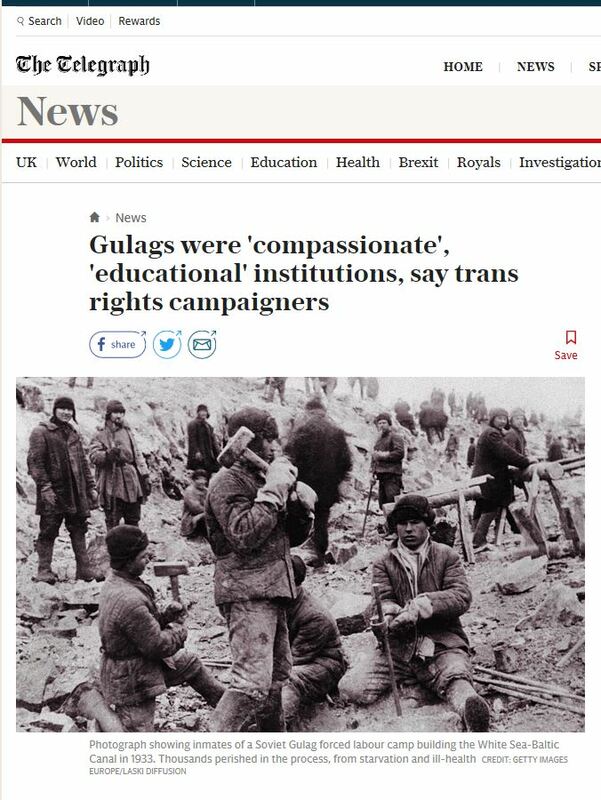 They know exactly what gulags are. They will call them compassionate education centers so we’ll leave them alone while they build them. Once they are ready, they will work us to death in them. This is the socialist version of taqiyya. They have to get us inside them first. We have one advantage that the Russian people didn’t have. As long as we keep that advantage and the will to use it, we won’t wind up being herded at any railhead. The sadly ironic thing is that should the Neo Stalinist come to power, the LGBTQBBQ would be some of the first new Zeks in the system. I would add the Antifa goons, but they would just be shot outright. Some of them will be made zampolit. Very few original Bolsheviks survived long enough to become Zampolits, and very few Brownshirts ever got positions of power under the Nazis. Very few vets of the Long March likewise. One rule of revolutions is that you absolutely must destroy the revolutionaries as soon as possible, lest they do it again.